Looking at advertisements, sales brochures--even the yellow pages of the phone book--can leave even the most long-term-care-knowledgeable individual a little unclear on exactly how or if a facility is licensed. 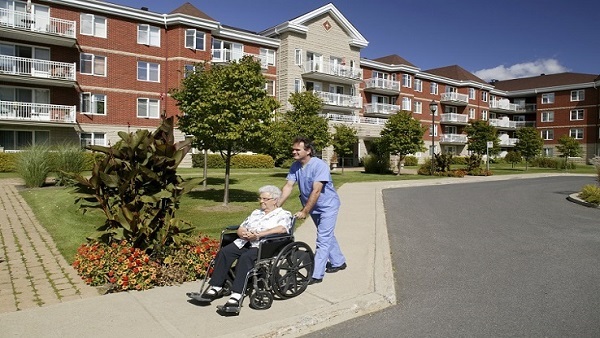 Learning about the levels of care offered by specific kinds of residential facilities or special units in the facility can make identification of each type of facility easier. It's important to work your way through this quick learning process so that you have a clear basis for comparison options--apples with apples, oranges with oranges. Only when you clearly understand how each is equipped, staffed and licensed can you accurately differentiate your options. As you start to shop your options, you may cull some information from friends and relatives, some from the yellow pages and other long-term care advertising and from your physician. Then, if you're like most people, you'll balance what you've learned and heard against your personal preferences and instincts. Then we hope you'll take everything you've learned and visit different types of residential facilities and several of the type in which you're interested--ones under different ownership perhaps, others that vary in size or mission. And we hope you'll use the data and general information in this guide and in the Long-Term Care Provider Directory available from VHI. Word of Mouth -- One way to get to know a residential care facility is to talk with people who live there or have friends and relatives who live there. It's a firsthand report on the quality of the care you can expect to receive and on the overall performance of the physical facility. However, as you listen, remember that what you are hearing can be biased by the person's own beliefs and needs. Listen, but keep an open mind. Advertising -- To add another dimension to your research, look at the facilities' advertisements. Keep in mind that the size of a facility's advertisement is not necessarily an indicator of quality care. But ads are a good starting place--along with this guide--to check out options. It is in ads that you may find the greatest disparity of language concerning residential care facilities. They may have chosen advertising classifications or headings that do not necessarily accurately profile their services as licensed. Use VHI's LONG-TERM CARE PROVIDER DIRECTORY to pinpoint how a facility or service was licensed at the time of publication. The category under which they are listed in the directory will tell you how they are licensed by Virginia. The directory lists options in your area, in nearby communities and across Virginia. And, of course, you can request verification by contacting the appropriate licensing entity. If you cannot find the residential unit in which you are interested in VHI's long-Term Care Provider Directory--there may be facilities that have opened or closed since the directory's publication date--you will want to contact the facility directly and/or call a Virginia licensing or regulating department for information. You can contact the Virginia Department of Health to verify a nursing facility's status or the Virginia Department of Social Services to verify an assisted living facility's status. For peace of mind and specific information about a facility, it's a good idea to check the credentialing and/or licensing status of all services and facilities you consider. Your Physician -- No one knows your medical needs, your physical and mental limitations, and, in some cases, your preferences about lifestyle, better than your physician. However, he or she may not know the particulars of your financial capability, so you will have to factor that into your thinking after you know what your physician thinks is in your best interests. When a preadmission assessment is performed, your physician will be instrumental in helping the assessment panel and care manager or coordinator profile your needs. This group will know what the criteria are for admission to each facility type as well as financial eligibility requirements. Their balanced input can be very valuable in your long-term care decision-making process. Almost everything you will read about long-term care stresses the importance of visiting the facilities you are considering--and not just once. You will find a visitation checklist in this guide as well as a directory of options. Don't be shy. Don't be concerned about how your visits appear to the administrators and staff. It is in everyone's long-term interest--yours and the provider's--for your placement to be one that is satisfying and lasting. You can minimize the likelihood of a later relocation with frequent visits to the facilities you are considering before you make a final decision.